We live our purpose through our culture where our diverse voices, backgrounds, and experiences are fundamental to our success. We value strength in community, progress through passion, action with purpose and belief in people. We solve problems together, believe collaborating early and often is key to transparency and that our individuality drives innovation, broadens connections and inspires growth. With optimism and courage, we build open and honest relationships, encourage putting ourselves in our customers shoes, experiment to find an answer, take on the big and bold through informed risk taking, own our commitments, help others rise to their best selves, respect and celebrate our diverse voices, all while having fun along the way. Inclusion, Diversity, and Equity are essential to our culture and to our success as an organization. Our behaviors drive the way we do business, including how we interact with each other, our customers, and our readers. Inclusion is what we do, Diversity is who we are, and Equity is how we operate. When everyone can bring their whole self to work, and is included, we are a more productive and successful digital media network. 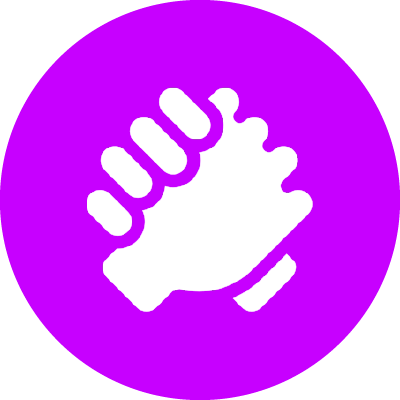 Our Ally Campaign is a company-wide initiative to educate and encourage employees to support and stand up for others in the workplace – all in effort to providing an environment where everyone feels welcomed, included, and valued. In addition, we are committed to having a workplace where everyone feels safe to have open and sometimes difficult conversations about inclusion, diversity and equity. Being an Ally isn’t just a status or identity…it’s taking action to help others and aims to educate, empower, and embrace to achieve a culture of inclusion. 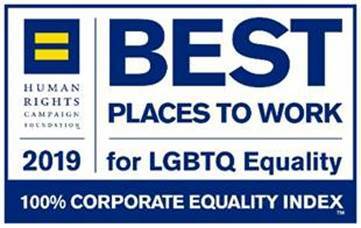 We’re honored to be rated one of the Best Places to Work for LGBTQ Equality by the Human Rights Campaign (HRC) and to have received a perfect score on its Corporate Equality Index. Our workforce represents diverse experiences and perspectives, which drives the way we do business and how we interact with each other, our customers, and our readers. Our Supplier Diversity program is designed to connect more minority-, women-, veteran-, persons with disabilities-, and LGBTQIA+-owned small businesses to opportunities within Gannett. To learn more about our supplier diversity program, or to register your business with Gannett, please click here. Representing an eclectic mix of perspectives through Inclusion, Diversity, and Equity starts with our Board of Directors, where 40% are women and people of color, and extends through the entire organization. Click here to view our Board of Directors. Our Go Forward Team is a diverse group of employees from all levels and areas of the organization with the purpose of supporting and fulfilling our company’s commitment to Inclusion, Diversity and Equity, both internally and externally. Our Employee Resource Groups are part of our Go Forward initiative. Find out more below. Our Employee Resource Groups (ERGs) are diverse, employee driven groups joined together based on shared characteristics or life experiences – all in the pursuit of recruiting diverse talent, strengthening professional growth, personal growth, and most importantly, being inclusive without being exclusive. ERGs are diverse in membership, open to all employees, and serves as a resource for learning and building connections, whether its through membership, or as an Ally. 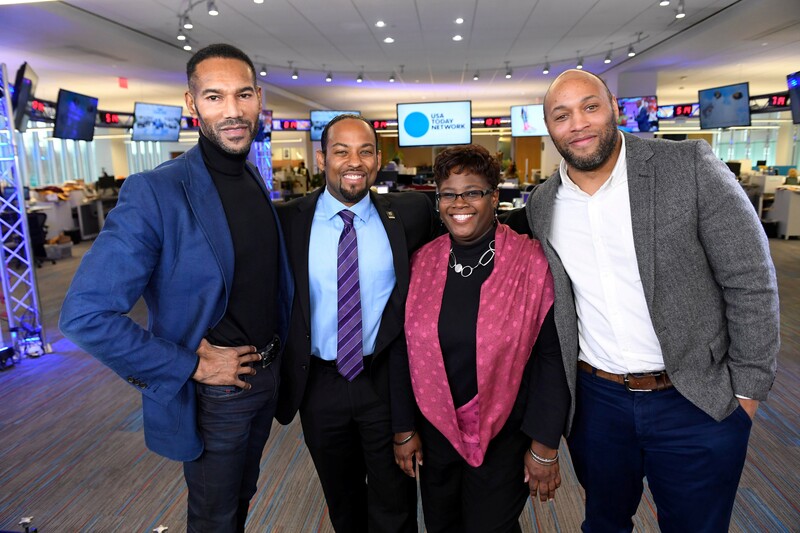 African-American Forward focuses on expanding and empowering Black Leaders at Gannett. This group provides a platform for employees of color to elevate their voices and grow their careers within a network of mentors and allies at all levels of the organization. Our mission is to provide a culturally diverse, inclusive and supportive employee network that is voluntary, engaging and aligns with the Gannett’s core values and business objectives. We provide personal/career development, networking opportunities, and activities that promote community engagement. In addition, we focus on building cultural awareness by creating an open forum for conversations addressing race, diversity, and equality. Interfaith Forward welcomes, fosters, and celebrates faith and religious diversity across Gannett – focusing on educating and understanding employees of all religions, beliefs, and traditions that are reflective of the communities we serve.  Our mission is to build awareness, connect, and understand employees of all faiths and backgrounds. To do this, we focus on educational outreach, consulting our newsrooms on how to cover various faith communities, facilitating conversations and managing programs around religion, beliefs and traditions, and encouraging and supporting an environment where employees can bring their whole selves to work. Military Forward is committed to bringing together the community of veterans, active duty members, families, and allies to promote the understanding of the service community and culture, as well and helping them to transition to civilian life. Our mission is to demonstrate inclusion and support of our military communities – providing a space for collaboration, engagement and activities through content and events. In that effort, we support veterans in career transition, provide networking and educational opportunities, offer family support to the veteran community, serve as advocates for the needs of employee service members and veterans within Gannett, and connect Gannett veterans with senior leaders who can mentor them. 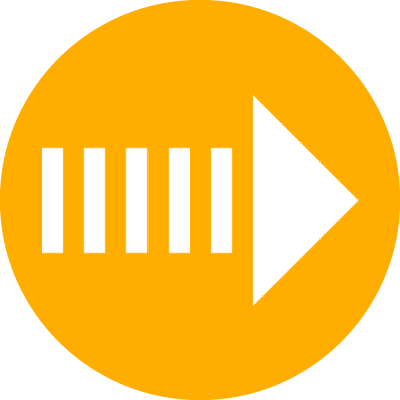 Next Gen Forward is an open forum for idea exchange for employees who want to understand and embrace generational differences that ultimately drive organizational success while making positive social and community impacts. Our mission is to encourage and promote cross-generational collaboration and inclusion across Gannett for professionals either early in their career or at mid-career. We engage our future leaders by providing professional development opportunities, leadership skills, and innovation-driving initiatives. We also equipped them with the tools and resources to succeed professionally, through mentoring and networking opportunities across the network. Pride Forward welcomes all Gannett employees, LGBTQIA+ and Allies to join and engage in conversations and take actions to improve the lives of all people with the community regardless of orientation, gender expression, and gender identity. 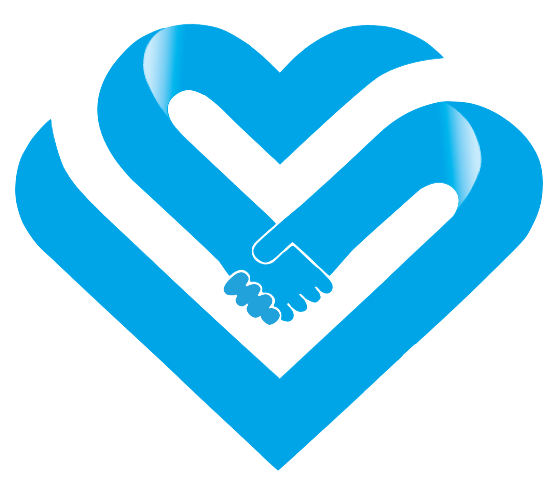 Our mission is to foster positivity, safety, inclusion and development of those who identify as Lesbian, Gay, Bisexual, Transgender, Queer or Questioning, Intersex, and Asexual or Allied, and other marginalized communities. We accomplish this by serving as a support network in ensuring that Gannett remains a workplace that works for everyone – one with respect, inclusive programs and equal opportunities for growth and career advancement. Women Forward connects employees across the network, focusing on gender equality in the workplace through understanding, leveraging, and developing the capabilities of employees at all levels through personal and professional development. 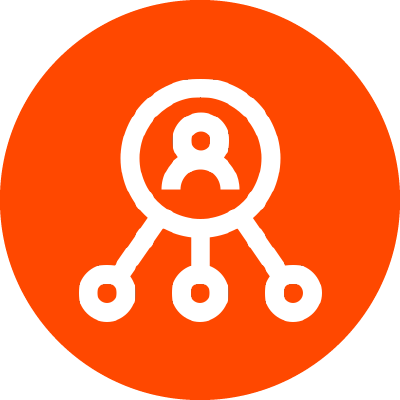 Our mission is to build a company-wide network with a focus on digital communication, shared experiences and growth. We are committed to empowering all women by driving actions that result in professional and personal growth, work-life balance and community connections, embracing and encouraging a friendly, diverse and inclusive workplace, and maintaining an employee-forward culture to unlock our highest potential. 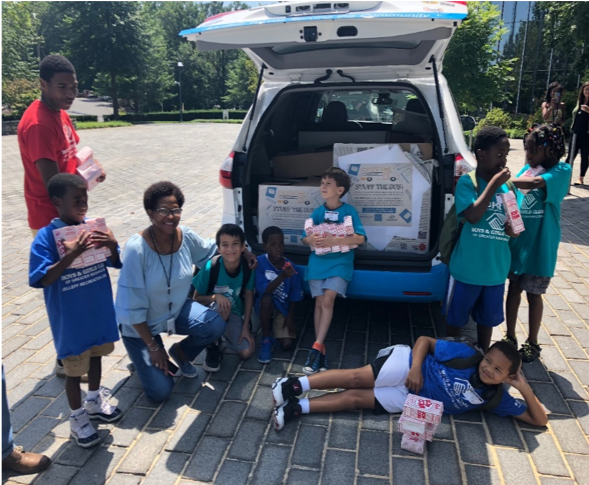 Women Forward partners with the Greater Washington Boys and Girls Club of America in a school supply donation drive – collecting supplies ranging from pencils, notebooks, gift cards, books, backpacks, books and more! In addition, the kids had the opportunity to tour our local newsroom and were treated to pizza, popcorn and cookies. 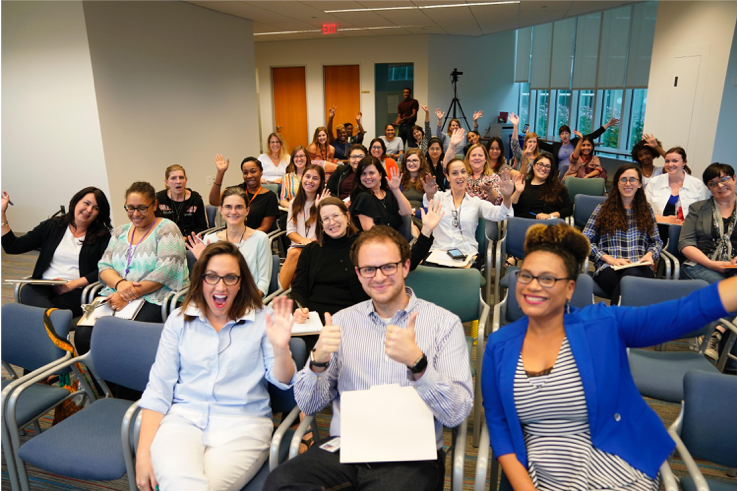 Women Forward hosted a series of professional development workshops focusing on personal and professional branding through the art of storytelling – by providing tips on how to create your own narrative and tell it in a compelling way. Pride Forward participated in the Motor City Pride event, Michigan's largest pride celebration with over 40,000 participants. 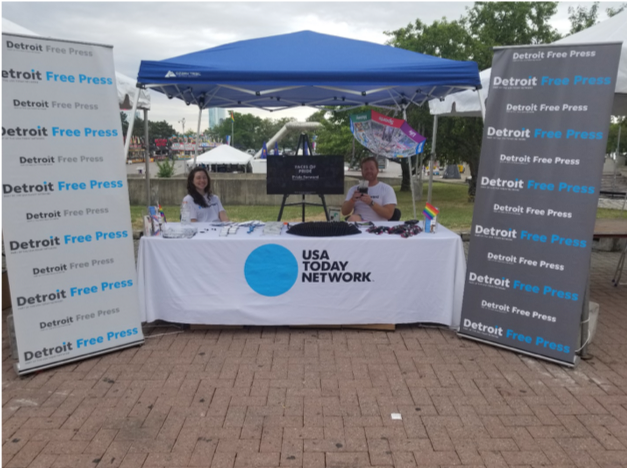 The focus of this event is to spread awareness through pride and our team went to activate the USA TODAY NETWORK in our local markets. Pride Forward hosting a panel discussion on how words matter to LGBTQIA+ communities in journalism and in the workplace. 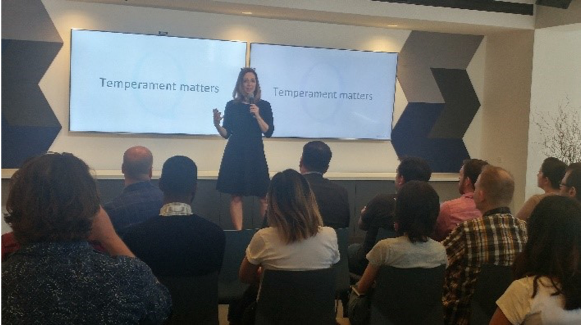 A Next Gen Forward discussion on how all employees can learn more about the style differences of introverts, extroverts and ambiverts in the workplace. 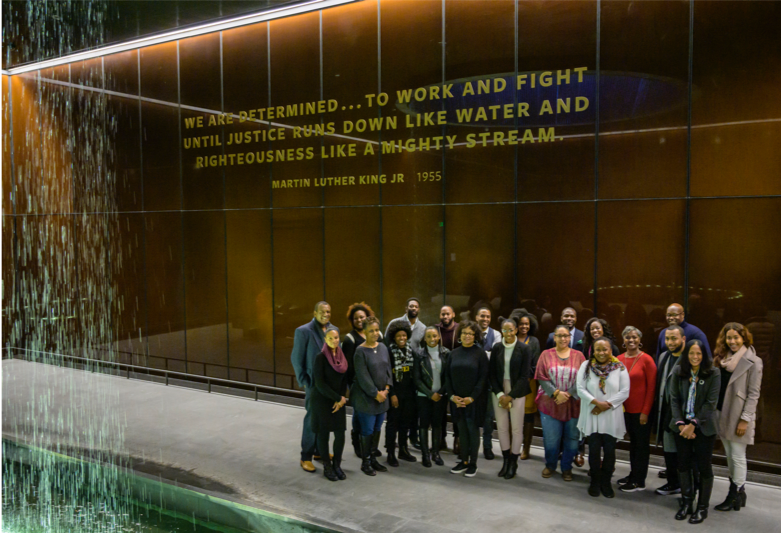 African American Forward coordinates opportunities for employees to learn about and experience African American Culture and contributions through Black History Month activities. ​ One event included a trip to the African American Museum. 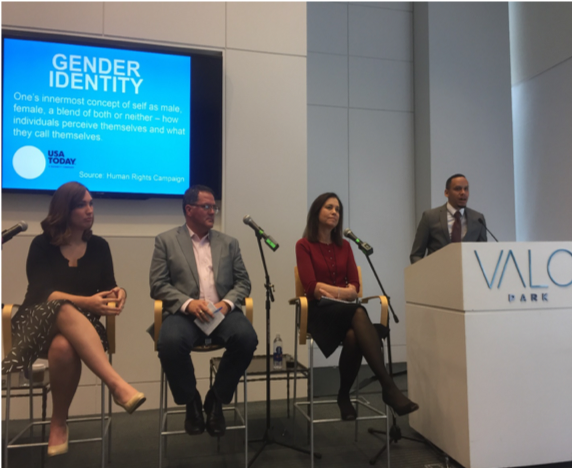 African American Forward hosted an event to discuss Diversity in the Technology space, featuring a member from our Gannett Board of Directors and leaders in the News, Product, and Technology Organizations.